Methicillin-resistant Staphylococcus aureus (MRSA) is an emerging community-acquired pathogen among patients without established risk factors for MRSA infection (e.g., recent hospitalization, recent surgery, residence in a long-term-care facility [LTCF], or injecting-drug use [IDU]).1 Since 1996, the Minnesota Department of Health (MDH) and the Indian Health Service (IHS) have investigated cases of community-acquired MRSA infection in patients without established risk factors. This report describes four fatal cases among children with community-acquired MRSA; the MRSA strains isolated from these patients appear to be different from typical nosocomial MRSA strains in antimicrobial susceptibility patterns and pulsed-field gel electrophoresis (PFGE) characteristics. In July 1997, a 7-year-old black girl from urban Minnesota was admitted to a tertiary-care hospital with a temperature of 103 F (39.5 C) and right groin pain. An infected right hip joint was diagnosed; she underwent surgical drainage and was treated with cefazolin. On the third day of her hospital stay, antimicrobial therapy was changed to vancomycin when cultures of blood and joint fluid grew MRSA. The same day, the patient had another hip drainage procedure, but had respiratory failure and was placed on mechanical ventilation. Her course was complicated by acute respiratory distress syndrome, pneumonia, and an empyema that required chest tube drainage. She died from a pulmonary hemorrhage after 5 weeks of hospitalization. MRSA isolated from her blood, hip joint, and sputum was susceptible to multiple antibiotic classes. An autopsy revealed bilateral bronchopneumonia with abscesses. The patient was previously healthy with no recent hospitalizations. No family members resided in LTCFs or worked in health-care settings. In January 1998, a 16-month-old American Indian girl from rural North Dakota was taken to a local hospital in shock and with a temperature of 105.2 F (40.6 C), seizures, a diffuse petechial rash, and irritability. She was treated with ceftriaxone but developed respiratory failure and cardiac arrest and died within 2 hours of arriving at the hospital. Blood and cerebrospinal fluid cultures drawn immediately postmortem grew MRSA that was susceptible to multiple antibiotic classes. An autopsy revealed multiple small abscesses of the brain, heart, liver, and kidneys; autopsy cultures of meninges, blood, and lung tissue grew MRSA. One month earlier, the patient had been treated with amoxicillin for otitis media. Neither the patient nor family members had been hospitalized during the previous year; no family members resided in LTCFs or worked in health-care settings. In January 1999, a 13-year-old white girl from rural Minnesota was brought to a local hospital with fever, hemoptysis, and respiratory distress. The day before admission she had a productive cough and a 2-cm papule on her lower lip. A chest radiograph revealed a left lower lobe infiltrate and a pleural effusion. She was treated with ceftriaxone and nafcillin. Within 5 hours of arriving at the hospital, she became hypotensive and was transferred to a pediatric hospital, intubated, and treated with vancomycin and cefotaxime. Despite pulmonary and hemodynamic support, the patient's respiratory status deteriorated, and she died on the seventh hospital day from progressive cerebral edema and multiorgan failure. The patient's blood, sputum, and pleural fluid grew MRSA that was multidrug susceptible. An autopsy revealed consolidated hemorrhagic necrosis of the left lung. The patient had no chronic medical conditions and no recent hospitalizations; no family members were health-care workers or employees of an LTCF or had a history of IDU. In February 1999, a 12-month-old white boy from rural North Dakota was admitted to a tertiary-care hospital with bronchiolitis, vomiting, and dehydration. He had a temperature of 105.2 F (40.6 C) and a petechial rash. Chest radiograph revealed an infiltrate in the right lung consistent with pneumonitis. On the second hospital day, the patient was diagnosed with a large right pleural effusion. He was transferred to the intensive-care unit, a chest tube was inserted, and treatment with vancomycin and cefuroxime was initiated. The patient developed severe respiratory distress and hypotension the following day and died. The patient's admission blood culture was negative, but his pleural fluid and a postmortem blood culture grew multidrug-susceptible MRSA. An autopsy revealed acute necrotizing pneumonia with extensive hemorrhage and numerous gram-positive cocci in the right lung. The patient had not been hospitalized since birth and had no known medical problems; no family members were health-care workers or employees of an LTCF or known to be IDUs. His 2-year-old sister had been treated for a culture-confirmed MRSA buttock infection 3 weeks earlier. MRSA isolates from the sister and the patient had identical antibiotic susceptibility profiles. MRSA isolates from these four cases were susceptible to all antimicrobial agents tested except beta-lactams. All vancomycin minimum inhibitory concentrations were ≤2 µg/L. Isolates from all four cases had the mecA gene by PCR assay at MDH. Isolates from cases 1 and 4 shared an indistinguishable PFGE pattern; isolates from cases 2 and 3 differed by two and three bands, respectively, suggesting clonal relatedness among these cases.2 In comparison, these PFGE patterns differed by an average of >10 bands compared with PFGE patterns among nosocomial MRSA isolates from several Minnesota hospitals. Sma I was the restriction enzyme used for PFGE. No isolate produced toxic shock syndrome toxin-1. C Hunt, M Dionne, M Delorme, D Murdock, A Erdrich, MD, Indian Health Svc; D Wolsey, MPH, A Groom, MPH, J Cheek, MD, Indian Health Svc Epidemiology Program; J Jacobson, B Cunningham, MS, L Shireley, MPH, State Epidemiologist, North Dakota Dept of Health. K Belani, MD, S Kurachek, MD, P Ackerman, Children's Hospital and Clinics—Minneapolis; S Cameron, P Schlievert, PhD, Fairview Univ Medical Center; J Pfeiffer, MPH, Hennepin County Medical Center, Minneapolis; S Johnson, D Boxrud, J Bartkus, PhD, J Besser, MS, Minnesota Dept of Health Laboratory; K Smith, DVM, K LeDell, MPH, C O'Boyle, PhD, R Lynfield, MD, K White, MPH, M Osterholm, PhD, K Moore, MD, Acute Disease Epidemiology Section; R Danila, PhD, Acting State Epidemiologist, Minnesota Dept of Health. Div of Applied Public Health Training, Epidemiology Program Office; and EIS officers, CDC. Most documented MRSA infections are acquired nosocomially; previously, community-acquired cases were restricted to patients residing in LTCFs and among IDUs.6 However, both of these groups have extensive exposure to hospitals, and their infections are generally caused by nosocomial MRSA strains. More recently, however, community-acquired MRSA infections have been identified at a Chicago pediatric hospital, in day care centers, and among minority communities in other countries.1,7-9 Unlike nosocomial MRSA isolates, community-acquired isolates from patients without known MRSA risk factors are generally multidrug susceptible (except to beta-lactams) and have distinctive molecular characteristics, as did the four isolates from the fatal cases presented in this report. These four cases demonstrate the potential severity of community-acquired MRSA infections. Beta-lactam antibiotics (including cephalosporins) are used as empiric therapy for various adult and pediatric infections, but these agents are uniformly ineffective in treating MRSA infections. All patients in this report were initially treated with a cephalosporin antibiotic; the delayed use of antibiotics to which MRSA were susceptible may have contributed to the fatal outcomes. As a result, where such infections exist, obtaining appropriate cultures of infected sites is important. 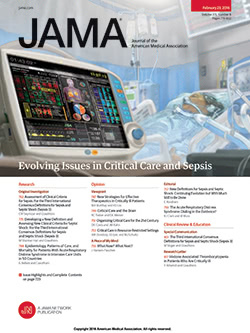 Clinicians should consider MRSA as a potential pathogen in severe pediatric pneumonia or sepsis syndromes in areas where community MRSA infections have been reported. In critically ill patients with invasive infections, empiric treatment with vancomycin (in addition to a third-generation cephalosporin) pending culture results may be necessary to treat cephalosporin-resistant S. pneumoniae10 or MRSA. The rural/urban and racial diversity among these cases suggest that MRSA colonization may be widespread, especially in this region of the United States. The extent of community-acquired MRSA infection in the United States is unknown. Few data are available to define the molecular characteristics of these strains. It is also unclear how to limit the spread of MRSA within the community and whether it is feasible to decolonize selected high-risk persons. The role that increased antibiotic use in children—particularly beta-lactams and cephalosporins—has played in selecting for MRSA strains in the community also is unknown. Local or state-based surveillance is needed to characterize and monitor community-acquired MRSA infections and to develop strategies that will improve MRSA treatment and control.